Upon returning from Sunday morning church service, we were pleasantly surprised to see this brillant, white cria standing proudly in the pasture. He looked at us as if to say, "Where ya been?" 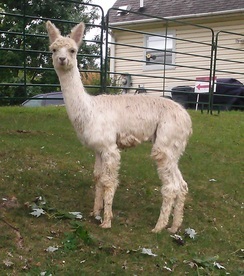 Bianca is a beautiful alpaca, with a gentle, easy going personality. She has a gorgeous head with awesome coverage, and nicely locked, very lustrous fiber. Considering the black genetics of her sire, SBS Onyx, and her own dark pigmentation around her eyes and mouth, herd sire breedings have produced fantastic colored crias! She is an easy birther and fantastic mom! Come visit Bianca at the FORT. Adrienne’s husband, Marquis de Lafayette volunteered to be an aide for General George Washington to do whatever was needed to defeat the British in 1777. Between her own family and Marquis’ family, Adrienne was one of the wealthiest women in France. She was a tremendous support for her husband and was especially interested in the emancipation of black slavery. Until her death, she fought for the freedom, dignity, and education of black slaves. The FORT’s Adrian, though spelled differently, is just as noble as Adrienne de Lafayette. 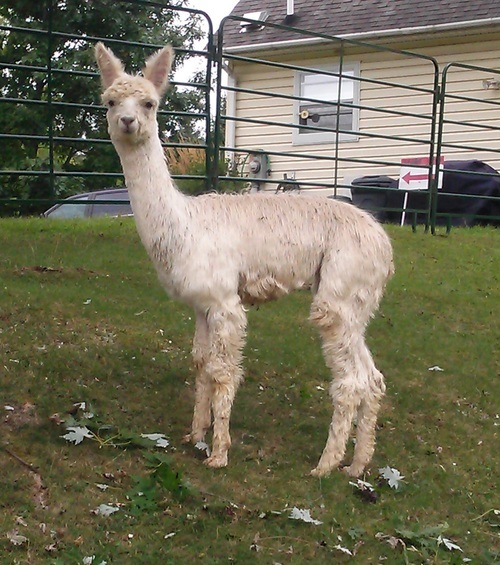 Her impeccable luster and locks will serve her well in the show ring and in our yarn production for the Alpaca Store. Above 2018 National average for fleece wt. (3 yr 8.2#) and 2 year histogram. Very consistent fleece! Come visit Adrian at the FORT and see her stunning luster and noble presence. 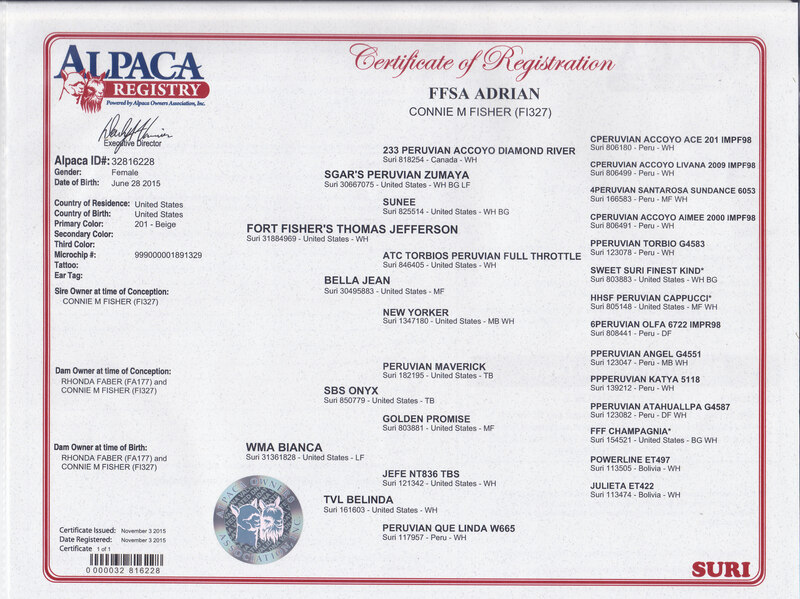 First Place, AOA National Fleece 2016 Wade Gease stated, "Very fine and well defined in the lock type"